Fun for first-timers and no big investment! A quality budget-friendly starter set. Special safety features on both ends of the arrows. Plastic notches on one, rubber suction cups on the other. 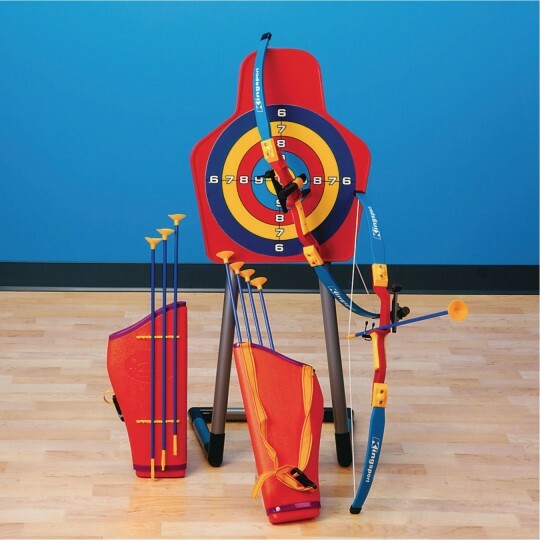 Includes 8 arrows, 2 holders and a target. A starter set that's fun for first-timers and no big investment! 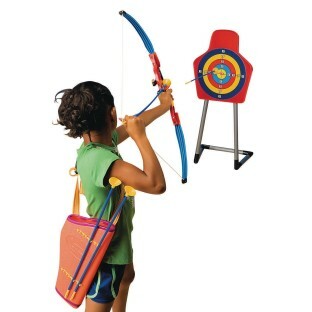 Set includes two 29"L plastic bows, eight 22"L plastic arrows, 2 arrow holders and a 38"H target. Arrows have plastic notches at one end and rubber suction cups at the other. Adult supervison required.